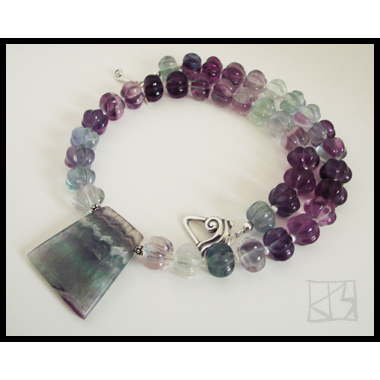 The word 'fluorite' derives from the Latin noun fluo, meaning a stream or flow of water. Its colorful transparency does seem like liquid captured like juicy ice, ranging from clear to various blues, lavender to amethyst-like purples. 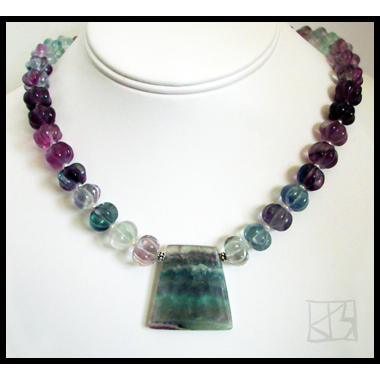 Fluorite mined in the European Alps is cut and polished into a smooth geometric slice that shows off stunning bands of transparent and translucent color, set in the center of vintage hand carved fluorite melons from India. 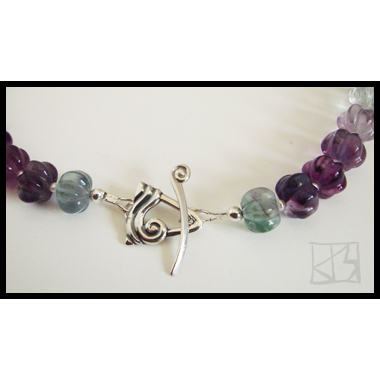 In keeping with the fluid theme, this one-of-a-kind piece is finished with a Bali sterling silver toggle clasp embossed with a curling ocean wave. 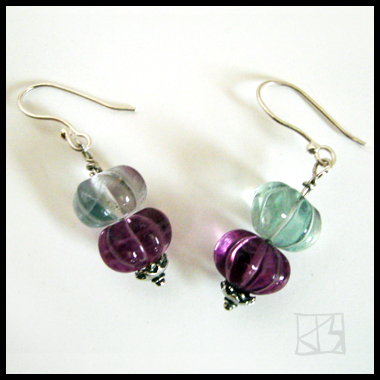 As shown, matching earrings included.